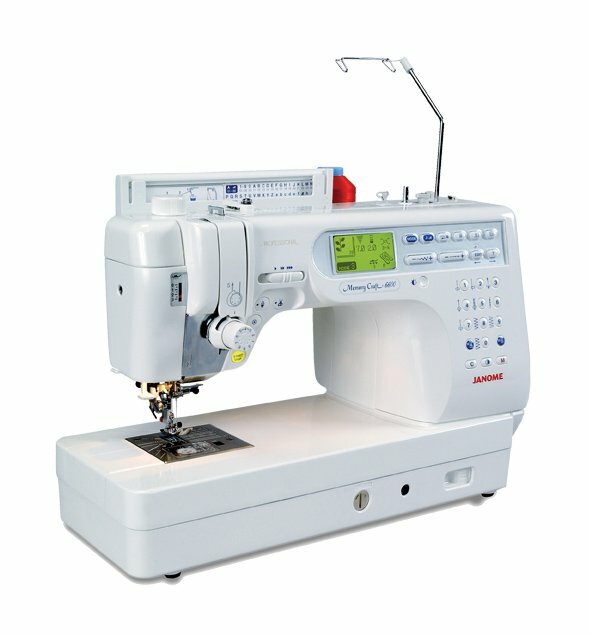 The Memory Craft 6600 Professional has the speed and precision critical to advanced sewing. The 6600 contains loads of features created especially for quilters, including the AcuFeed system. AcuFeed Layered Fabric Feeding System ensures your sewing and quilting are even, smooth and precise on all types of fabric. The AcuFeed foot is integrated with a unique seven-point feed dog system, so your fabric is guided perfectly from the top and the bottom. AcuFeed is a unique and innovative feature - once you try it you'll wonder how you ever lived without it! It perfectly guides your fabric from both the top and the bottom. 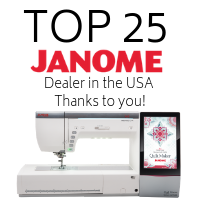 Only Janome truly integrates its innovative AcuFeed foot with a unique seven-point feed dog system, ensuring all fabrics move smoothly, even thick layers of quilting fabric and batting. Choose from dozens of decorative and quilting stitches. With its enhanced screen clarity and additional screen detail, all the stitches are easier to choose, customize and save into memory. When you're doing those long seams or you've dropped the feed doges to do free motion quilting over a large area, you can relax your pedal foot. The handy Start/Stop Button makes a big difference when you spend a lot of time at your machine. Raise the presser foot without taking your hands off your work. It's like having an extra hand and is crucial for quilting and other projects with long or repetitive seams. Simply touch the key to manually snip your thread. You can also program the snip at the end of a stitch. Spread out on the largest arm and bed space of any household sewing machine: 9"? x 5" ? (225mm x 120mm). The design is not only spacious, it's also ergonomic and intuitive. Another great time saving feature to get you sewing faster. Just push down the lever, loop the thread through, release, and you're ready to sew. This product may only be purchased at our retail location.